So I wasn't exactly "on time" with my visit for my nephew's 3rd Birthday this year; I showed up two weeks early... 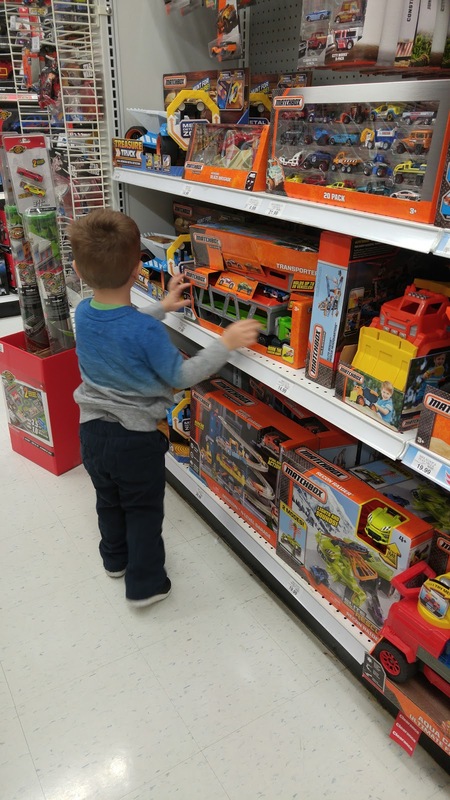 But I think I redeemed myself by taking him for a Toys-R-Us shopping spree and the option to buy whatever he really wanted! 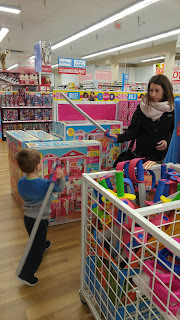 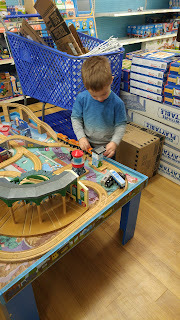 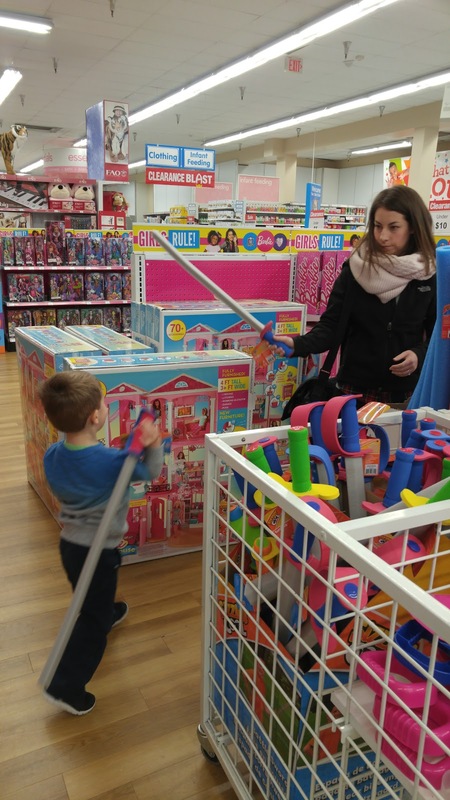 We spent a good portion of the morning browsing the aisles, playing with swords, trains, cars and bikes. 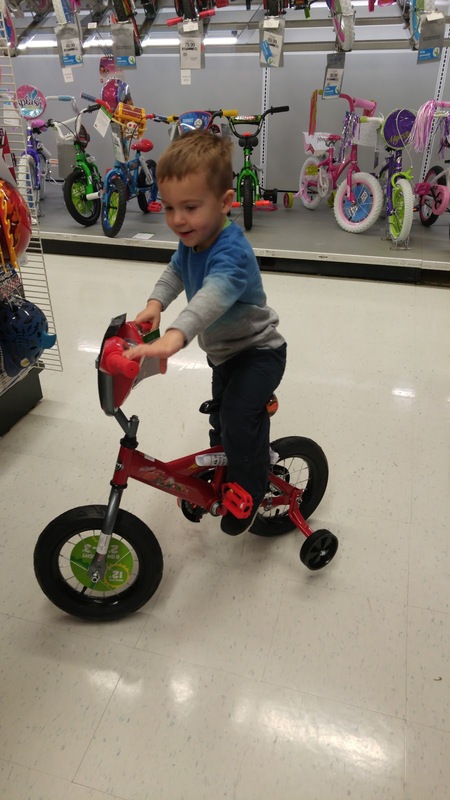 In order to get around the store, he would hop on a bike he'd picked out and pedal to his new destination. 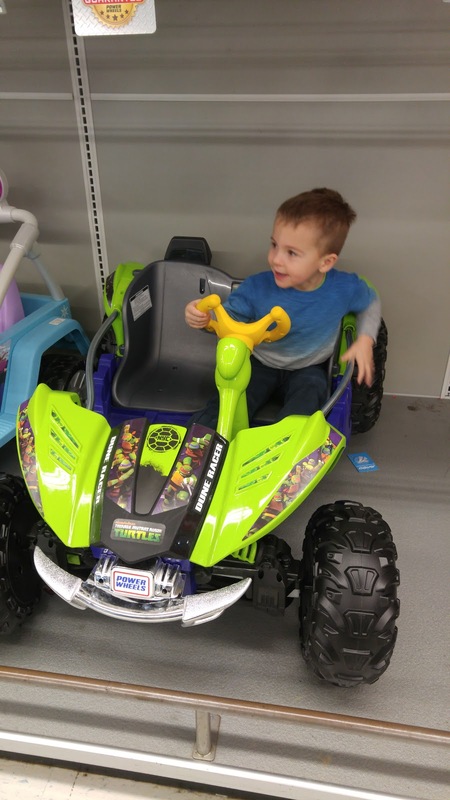 He was doing really great with the pedals and when it came time for him to pick his favorite item in the store, he actually said he wanted the bike!! Us being the cycling aunt and uncle we are, it was a little surreal that he picked out a bike as his favorite, and we of course went a little above and beyond to get him something good. 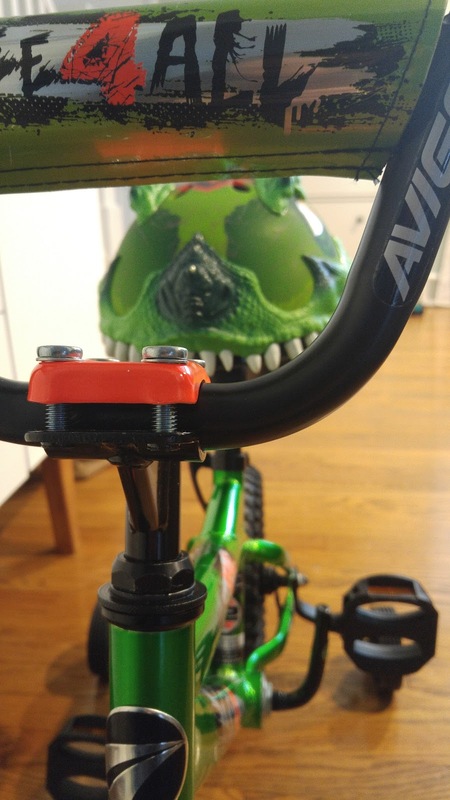 We looked for a better, sturdier frame that fit him, and of course supplemented with a VERY cool helmet purchase. It was perfect. 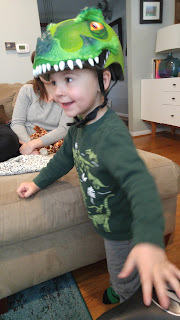 His favorite animal is T-Rex right now, so I really don't think we could have scored better this year. 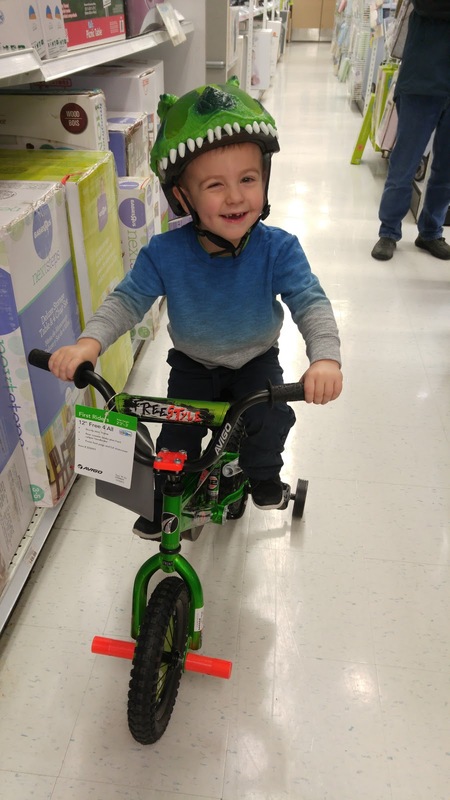 I loved every minute watching him pedal around on his bike, not to mention the experience of putting it together with my little sister. 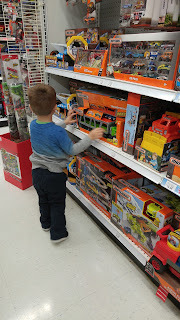 <3 All in all, it was a great trip back to Ohio and we'll have to put another visit on the agenda soon!